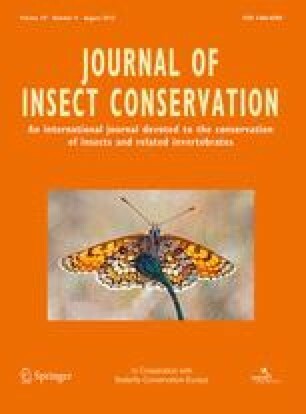 The online version of this article (doi: 10.1007/s10841-015-9797-y) contains supplementary material, which is available to authorized users. For financial support we thank the Monterey Audubon Society, and the Pacific Fund and Eberhardt Fellowship from the University of the Pacific. Thank you to K. Kuska, E. Kristiansen, and A. Barnett for help with fieldwork, and to G. Jongeward, M. Brunell and two anonymous reviewers for comments on the manuscript. This paper is dedicated to the memory of May Gong-Tenney, whose life-long interest in and love of the natural world knew no bounds.